We Malaysian are so lucky to have a diversity of ethnics and race that not only make our country unique, but also let us taste a lot of different foods. But since we tend to eat different type of foods, in addition to our hot and humid weather it is almost inevitable for some of us to have body odour problem. Not only that, different lifestyles, genetics and medications can also make our body smell. Although human naturally will have distinct body odour, but it would be a problem if the smell is too strong. So what you usually do to solve your body odour problem? The most common way to combat body odour is to wear deodorant, but the results usually vary from one brand to another. The best way to find the perfect one is by trying various brands. But, one thing about most deodorants available out in the market is that they contain anti-perspirant. Antiperspirant works by blocking your natural perspiration process, while some other brands just cover the smell with the fragrance contained in their deodorant. This is not exactly the best way to solve your body odour problem. 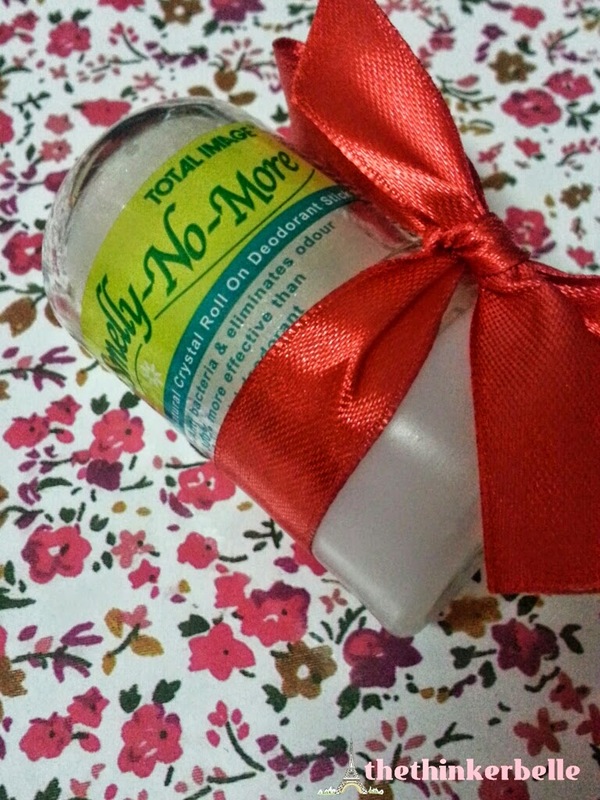 I was given a chance to try the Total Image- Smelly No More Crystal Deodorant Stick which is a natural remedy to eliminate body odour. 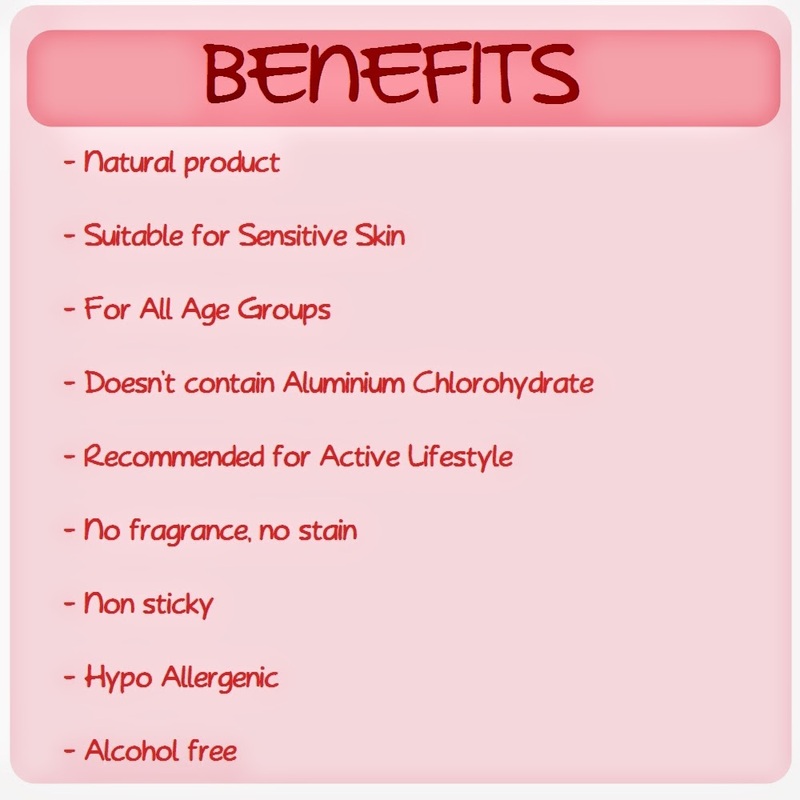 Unlike other deodorant, Smelly No More is made of pure and natural mineral salts. These ingredients has properties that could inhibit the growth of bacteria that causes the smell. To ensure the best testimony, I've been using this product for almost a month now. 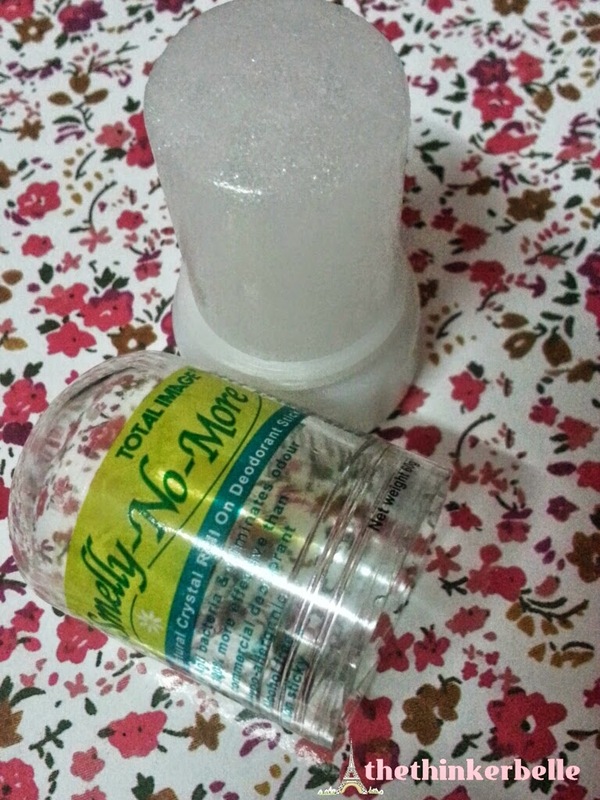 And what I could say is that Smelly No More Natural Crystal Deodorant Stick does works well in eliminating body odour. Even when I wear it early morning before going to work, the places that had been applied with this crystal stick doesn't smell even when I got back home at the end of the day! There were times where I use normal deodorant instead , and shockingly the end result is not the same. Compared to Smelly No More, the normal deodorant doesn't last long. I like how it's not sticky, and colourless. Sometimes, I even doubted myself if I actually wearing it. Although I was the one who applied it on. This is the major thing that I love about this deodorant. 1. Wet the top of crystal stone surface. 3. It's recommended to not share the product for hygienic purpose. Suitable for odour prone areas like underarms, neeck, behing the knees, sweaty palms and feet.